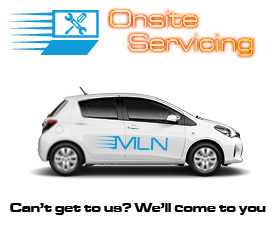 If you are located in Melbourne CBD, West, North Melbourne, Carlton, Parkville, Flemington, Kensington, Brunswick, Footscray, Docklands your local computer store MLN West Melbourne is a short distance away. We have a large range of computers in stock which include laptops & desktops from all major brands. 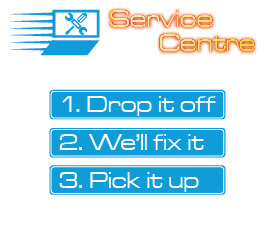 We also have a dedicated computer service centre located at our store with full time technicians that can provide all types of laptop repairs, notebook service, desktop PC, Mac repairs and upgrades. We provide onsite computer service to businesses in our local area. We are located directly across from the Queen Victoria Market @ 75 Peel St, West Melbourne 3003. We are near the Victoria Street and Peel Street Intersection. Are you in the CBD? : We are a short walk from the CBD either walk along Elizabeth St. or William St. Train? : We are within a 2 minute walk from the CBD and only a short distance from Flagstaff train station. The continuation of Williams St becomes Peel st.
Tram routes? : route 57 from Domain in St Kilda past the Crown Casino through Williams st and Peel st. route 55 starts at Flinders st. station and continues through Elizabeth street and turns into Victoria st. The Victoria st and Peel st. intersection is where our showroom is located. Parking? : Due to our location being close to the Melbourne CBD we have several parking locations available. The Queen Victoria Market has its own parking lot, which is a short walking distance from us. The street directly behind our showroom is Capel St and there is ample parking along there as well as along Victoria St (near the Victoria St and Peel St intersection). No Time? : If you are not located within Melbourne or don't have the time, then purchasing through our online system is safe and secure, have your computer, notebook or computer parts & accessories couriered to you with full insurance coverage to anywhere in Australia.